Those were the introductory words of John Deveras, senior executive vice president and head of strategic initiatives at Rizal Commercial Banking Corp. (RCBC), in kicking off a media roundtable discussion on the universal bank’s recent digital products and services. 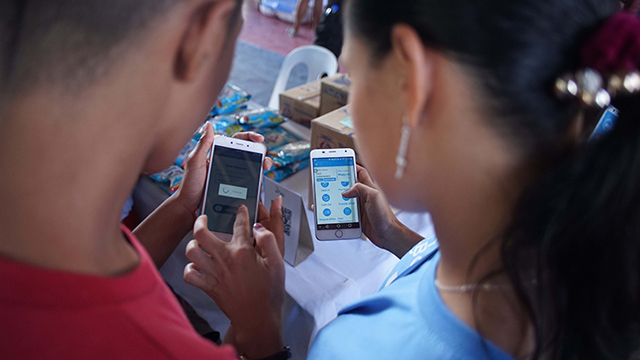 Held last June 14, the event focused on how RCBC is using technological innovations to reach the unbanked, or the 86 percent of Filipino households that do not have a deposit account. While a bank implementing digital solutions for its offerings is nothing new, RCBC is bringing with it several technological firsts for the local banking industry. Through partnerships with several financial technology companies, RCBC is rolling out a series of projects that provide different approaches to payments, remittance and other banking services. According to Deveras, installing an automated teller machine (ATM) would require around Php800,000. Such a steep price discourages banks from placing ATMs randomly as it would need to ensure that each ATM is in a location with enough potential users. As a result, many cardholders are barred from the services an ATM provides simply due to location. To that end, the bank rolled out RCBC Cash Express, a mobile point-of-sale (MPOS) system that allows partner merchants to act as neighborhood ATMs. 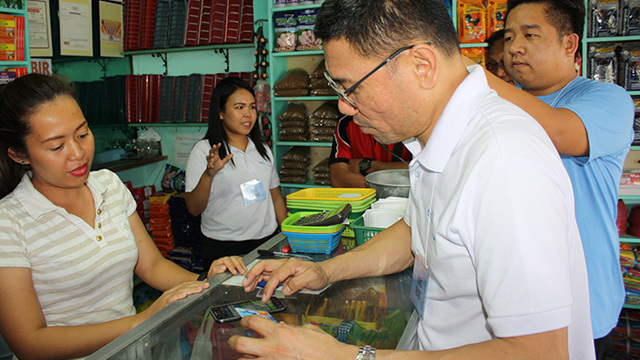 These partner merchants, which can be sari-sari stores, laundry shops, gadgets retailers or other similarly cash-intensive businesses, will be able to provide all the services of a regular ATM such as cash withdrawals, bills payments and balance inquiries. Each partner merchant will be given a smartphone, an MPOS device and a printer, while they will be required to open a savings account with RCBC. They will receive a percentage of the transaction fees, acting as an extra source of income for these small business owners. While Lopez did not disclose how many Cash Express outlets they have so far, she revealed that RCBC already has partner merchants in around 30 provinces. As well, the service isn’t limited to RCBC clients, as cardholders from other banks, as long as they are part of the BancNet network, can also access the ATM services provided by RCBC Cash Express. Lopez also highlighted that they made sure to enable partner merchants to offer every type of ATM service. “Everything that they can do on an ATM, they should be able to do [with RCBC Cash Express],” said Lopez, who joined the bank in 2016. While RCBC Cash Express is serving an unmet need, it is mainly for Filipinos who already have bank accounts. In order to reach the truly unbanked, RCBC is rolling out the country’s first digital fiat currency, the RCBC ePiso. Through a mobile wallet, clients can use RCBC ePiso to access financial services without the need to open and maintain a bank account. 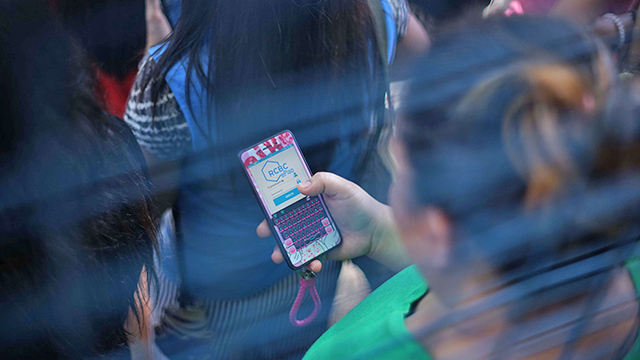 But unlike other mobile wallets such as GCash and PayMaya, the technology behind ePiso allows for each ePiso to have a traceable serial number to enhance security, as well as the future possibility of interoperability between other banks and electronic money issuers. “Right now, you need a way for [users] to manage their ePiso, which is why it comes with an app,” Lopez told Entrepreneur Philippines. “In the future, it’s not an impossibility that there will be other apps that can use ePiso." RCBC is rolling out the ePiso under a regulatory sandbox arrangement with the Bangko Sentral ng Pilipinas (BSP), as the technology behind it allows for a possible digitization of the Philippine peso. This means that should RCBC’s product do well, this can signal possibilities for the BSP to issue Philippine peso digitally, on top of the physical notes and coins currently in circulation. RCBC has currently rolled out a pilot of ePiso in Barangay Poblacion, Muntinlupa City as well as in Valencia City, Bukidnon. Lopez added that RCBC plans to continue piloting ePiso within certain communities before fully rolling out the product. While ePiso has similar qualities to cryptocurrency, Lopez clarified that it is not using blockchain technology, or the distributed ledger that serves as the backbone of digital tokens such as Bitcoin and Ethereum. RCBC developed ePiso with Irish technology firm eCurrency Mint Ltd., which combines cryptography with other proprietary technology to develop a digital fiat currency. However, Emmanuel Narciso, first senior vice president and head of RCBC’s global transaction banking group, revealed that RCBC is looking into implementing blockchain technology in another service: international remittance, specifically between Japan-based overseas Filipino workers (OFWs) and their beneficiaries in the Philippines. “With blockchain, [remittance] is a lot simpler, because all you have to do is agree with the bank in Japan that we are parties to this shared ledger,” described Narciso, who compared it to the current process of having to pass through the Society for Worldwide Interbank Financial Telecommunication or SWIFT network. Taking international money transfer to the blockchain will allow RCBC and its partner Japanese bank to bypass SWIFT and therefore make the transaction less expensive and time-consuming. Narciso added that this blockchain-based remittance service is still in the planning stages, as RCBC is still finalizing which Japanese bank it will partner with as well as which blockchain it will use. However, Narciso revealed that RCBC is one of only 15 banks around the world to be part of a pilot project with tech giant IBM in rolling out its blockchain platform. “We’re looking at before the end of the year to get this up,” said Narciso.